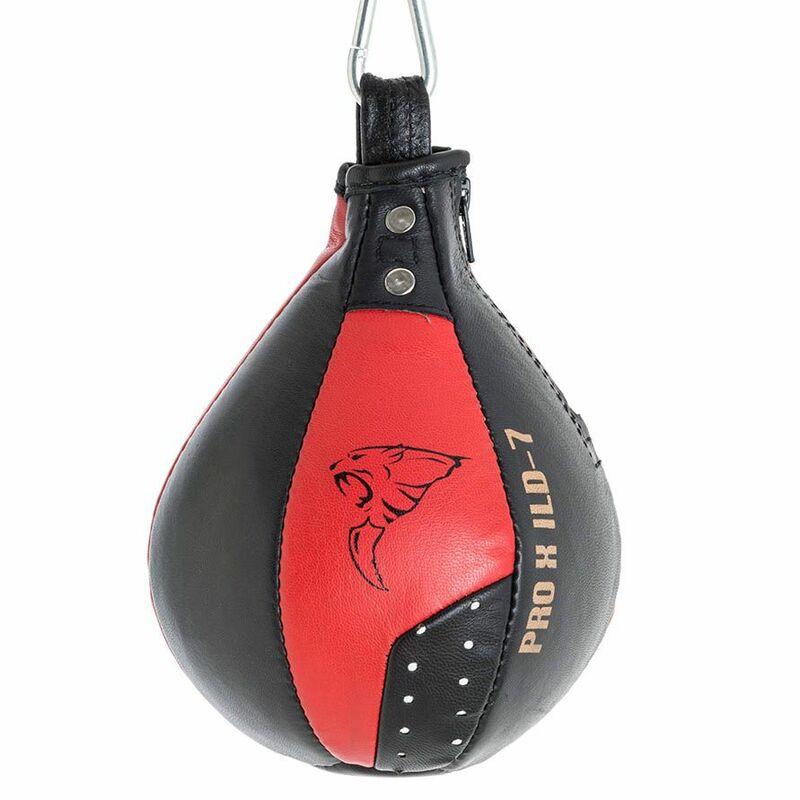 The Carbon Claw PRO X ILD-7 Pro 6-inch leather speed ball provides extensive ways of training your agility, speed, and hand-eye coordination, thus making it a crucial addition to any martial arts practice, as well as general fitness routines. The bag can withstand countless beatings thanks to a durable 6 panel machine stitched design utilising a genuine leather made from goat hide. It preserves air pressure beautifully thanks to a super safe rubber inflatable bladder. Moreover, it’s great for building up strength in the upper arms and shoulders, plus the smaller length provides a reduced hitting area, thus putting your through extra challenge for better results. for submitting product information about Carbon Claw PRO X ILD-7 Pro 6 Inch Leather Speed Ball We aim to answer all questions within 2-3 days. 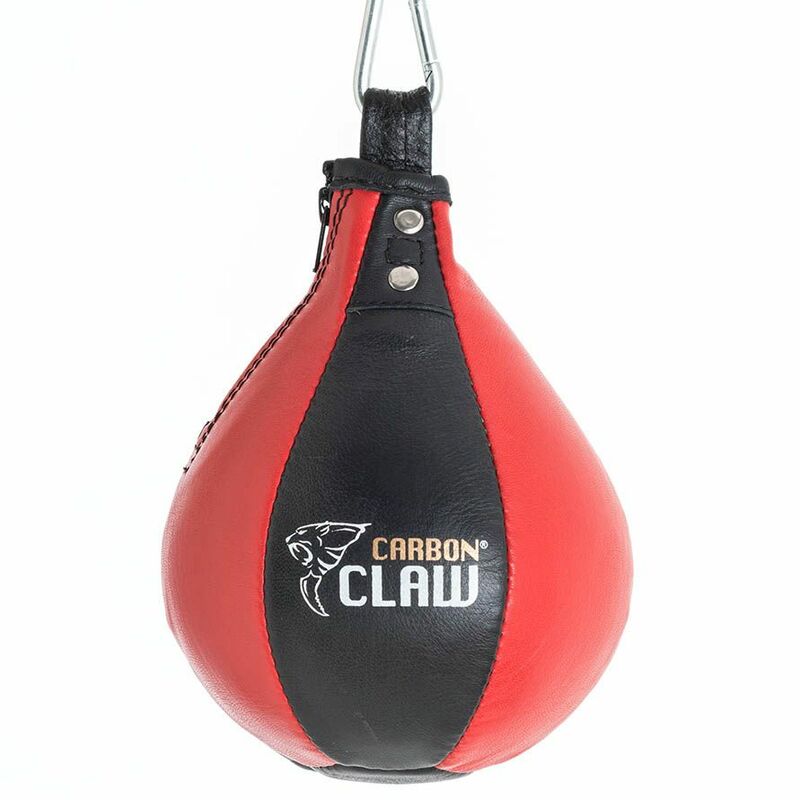 for submitting product information about Carbon Claw PRO X ILD-7 Pro 6 Inch Leather Speed Ball. We aim to answer all questions within 2-3 days. If you provided your name and email address, we will email you as soon as the answer is published. for submitting product review about Carbon Claw PRO X ILD-7 Pro 6 Inch Leather Speed Ball.